Adaryll Lee is the founding partner of Gee & Lee, PLLC. Attorney Lee credits his Christian up-bringing and his love of family and community for molding him into a man of character and conviction. Those qualities have led him to be recognized amongst his peers as one of the best personal injury attorneys in the State of Florida. 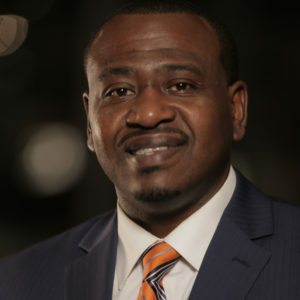 Mr. Lee graduated from Florida Agricultural & Mechanical University with a Bachelor’s Degree in Psychology and earned his law degree at FAMU College of Law. He was admitted into the Florida Bar in 2013. Upon admittance to the Florida Bar, he immediately began practicing law in as an Associate Attorney with a personal injury law firm in Central Florida. As a result of his passion for the community in his home of the North Florida region and aggressive legal pursuits, he opened the Law Office of Adaryll Lee, PLLC on June 2014, which operated in Maitland, FL and Quincy, FL. Armed with three employees, Attorney Lee began serving clients throughout the State of Florida. In March 2015 he relocated his office to 37 N. Orange Avenue in Downtown Orlando Florida. Ultimately, Attorney Lee and lifelong friend Charles Gee formed Gee & Lee in 2016 and the rest has been history. In March 2014 he sponsored the Bowling Fundraiser (“Striking for Success”) to benefit the Gadsden County Head Start Pre-K Program located in Quincy (his hometown). The fundraiser profited thousands of dollars to benefit the Gadsden County Headstart Program. An encore was sponsored in March 2015 which more than doubled the previous year’s donations. He is committed to helping to mold the minds and hearts of youth by collaborating and volunteering at the City of Quincy Parks & Recreation Center. In conjunction with Parks & Recreation, the Law Office of Adaryll Lee coordinated and sponsored a Back to School Book-bag Drive and Pool Party (August 2014) to distribute more than 300 pre-filled backpacks and school supply bags to children grades Pre-K through 12. Other participants were Gadsden County Community Leaders, FSU Black Student Law Association, the local Girl Scouts, and the Quincy Police Department. His commitment and success were attributed to the training and tutelage he received from esteemed members of the legal profession and his pursuit of justice for those unfairly treated or represented in the legal system; one such example would be the Treyvon Martin Case. He conducted groundbreaking research, along with members of Parks & Crump Law firm which led to national recognition of the plight of Treyvon Martin and his family. In 2015, Adaryll received the “Rising Star Award” – one of FAMU’s College of Law’s Distinguished Alumni Awards. Adaryll currently resides in Orlando Florida where he enjoys time with family and friends.